Gdansk was one of the first cities that I came across while researching on the best things to do in Poland. Gdansk is the country’s gateway to the Baltic Sea. So Gdansk is a favourite among the Polish as well as international travellers, who fly to Gdansk for a beach holiday during summer for its beaches. In this travel guide, I’ll share with you the best things to do in Gdansk. 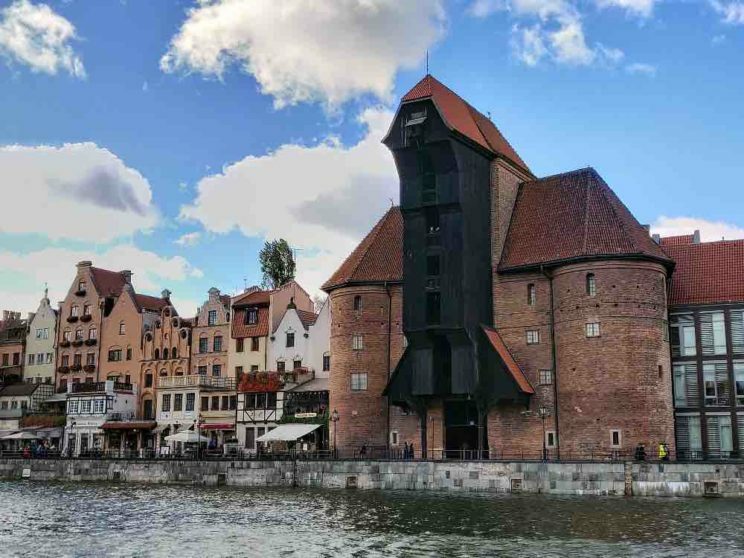 This exhaustive Gdansk travel guide includes some great tips, transport, tours, and many more apart from Gdansk’s attractions. 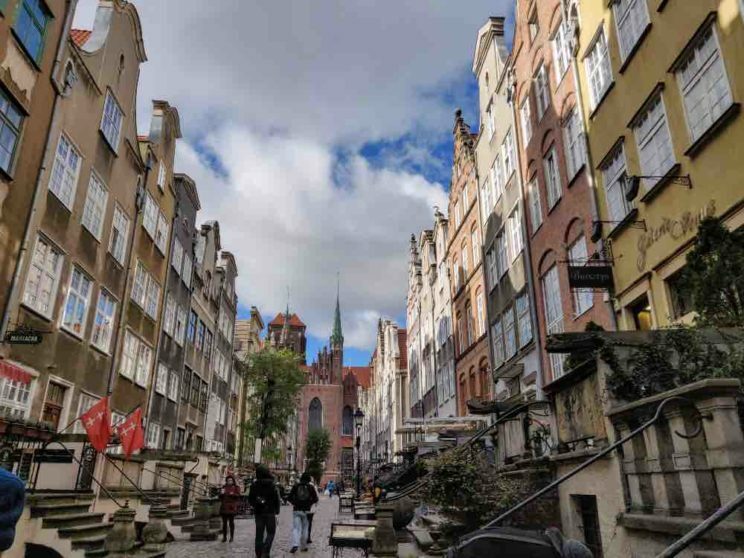 Don’t forget to book this post to plan your Gdansk trip! First, let me tell you a bit about the city. Gdansk is one of the oldest towns around the Baltic. It has a history of at least 1000 years. The port town was the centre for trade worth fortunes between nations, with Amber being one of the chief items of trade. Being the only town besides the sea and an important harbour for tradesmen, countries fought to acquire the city throughout history. Okay, what is Gdansk famous for? Is Gdansk Poland safe for traveling? Is it worth visiting Gdansk Poland? How many days in Gdansk should you plan? Where to stay in Gdansk? In the early 20th century, Gdansk was a neutral town belonging to no country, and administration of the city was done by Poland. A breach of this neutrality by Adolf Hitler in 1939 was what set the World War II in motion when his German army attacked the city’s post office kick-starting the war. 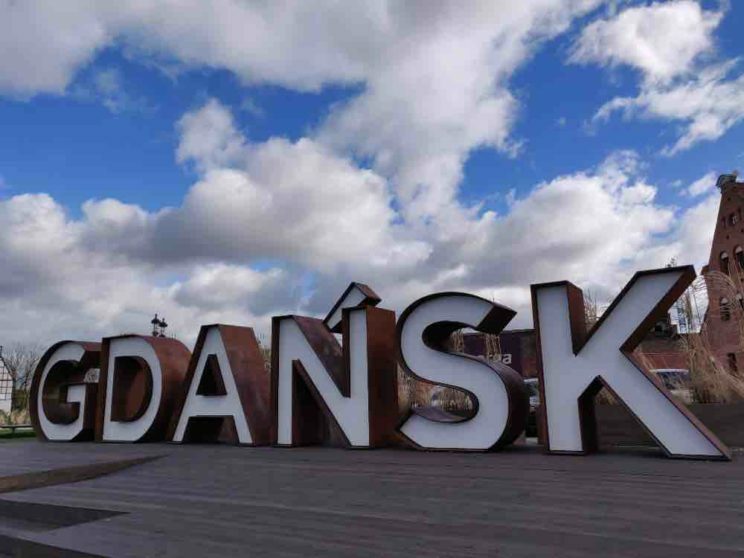 Thus, the modern world knows Gdansk as the city where World War II began. 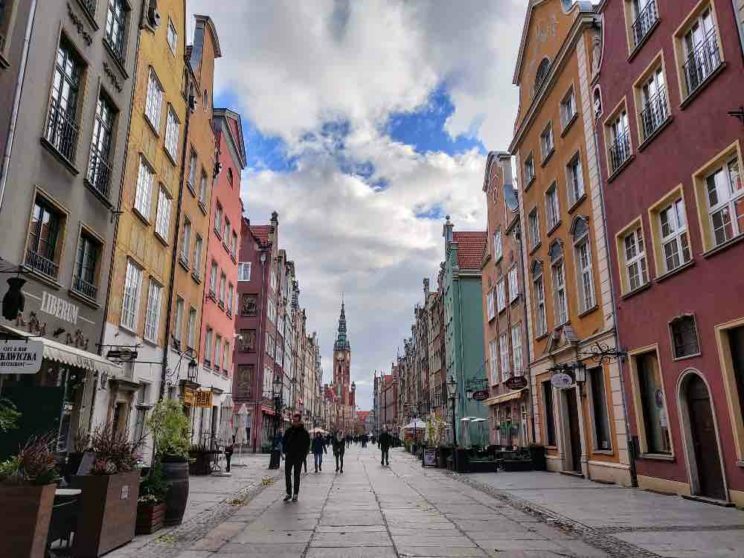 I traveled solo in Gdansk, and never felt the city to be unsafe. On the contrary, I enjoyed being in Gdansk by myself, and I even took trams at night without worrying or feeling uncomfortable. So in general, Gdansk is safe for traveling. Just make sure to take the general precautions that would apply to any destination. Today, Gdansk is a flourishing town. Being destroyed almost completely in the World War II, much of Gdansk has been rebuilt including the old town of Gdansk. Its stunning coastline laden with beaches, pretty old town, many attractions, amazing nightlife and not to forget the excellent Polish food, Gdansk is one of the top cities in Poland that you should definitely visit. 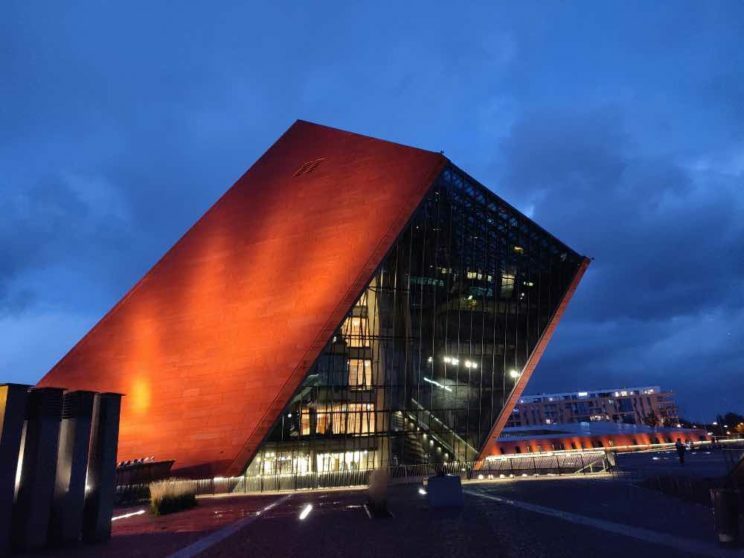 Now, let’s find out what is there to do in Gdansk and more on Gdansk attractions. When you are in a European city, checking out the old town is obviously one of the top things to do. What’s different in the case of the old town of Gdansk is that the old town is not really old. Gdansk was almost entirely wiped out in the World War II. So the old town was actually reconstructed to resemble the earlier buildings, which were all built in the Dutch Renaissance style because the earlier architects were from the Netherlands. Did you know? Most of the street names in the old town of Gdansk haven’t been changed in the last 500 years or so. Also, unlike the old towns in other cities, you’ll not find a square. Instead, the old town area is spread between the streets, beginning at Dluga street or Long street, and extends up to Dlugi Targ or the Long Market. On the way, you’ll pass through the majestic Town Hall and Arthur’s Hall. I had joined a free walking tour of the old town, and the guide told us about the Royal route, which includes the Dluga street. Encompassing many prominent buildings, it starts at Wyznna street and passes through Dlugi Targ, which ends at Brama Zielon. I just navigated using Google maps to find the others not covered in the tour. All the places are well-marked on the maps and you should be able to find them easily. Here are some of the guided walking tours that you can try. There are different types of tours to explore Gdansk old town, with some including audioguides. As I mentioned earlier, Gdansk was a prominent port city for more than 7 to 8 centuries. So its legacy with shipbuilding dates back to these times when the city was just granted the privilege to trade. Once home to more than 20,000 workers who built round the clock to build ships, Gdansk shipyards became a meeting point for those who led the Solidarity movement against communism in the late ’70s. This is really a great place to capture through your lens. As you pass by the shipyards, you can’t help feeling as if you have arrived in a Dutch city like Amsterdam. With canals and Dutch-styled buildings, I instantly remembered my travels in Amsterdam a few weeks ago. What you can’t miss amidst these elegant uniform buildings is the Crane, which sits on the Motlawa river. It stands out today due to its antique appearance. The crane hoisted the masts of ships, along with loading them with goods. Our guide explained the mechanism of how it worked, and I couldn’t stop being amazed by the engineering feat of the medieval times. Mariacka street is unique and special because of its layout. As soon as you enter, you notice that all the buildings on the street are above the ground level. The narrow, cobbled street consists of stairs consisting of 3 to 4 steps leading you into the buildings. This elevation is an example of how the streets in Gdansk earlier existed. Due to its damp nature and close proximity to the waterfront, much of the streets would be submerged, and hence all the buildings would be built at an elevation. The traditional buildings stand elegantly in different bright colours, and it’s just a treat to watch such cuteness. And if you are traveling with your partner, this is surely one of the romantic places to be in Gdansk. Mariacka street is known just for this. It is the centre for modern-day Amber shopping. You’ll see shops selling amber jewellery in all shapes and sizes. The basements of these buildings today house beautiful cafes, boutique shops and places to shop for souvenirs in Gdansk. At the other end of the street is the impressive Mariacki Church. Called the Baltic’s Gold, Amber is a favourite among the precious stones for many. Did you know? Poland is the largest exporter of Amber in the world. Much of the Amber comes from the Gdansk area, so obviously Gdansk Amber is too popular. So while you are here, head to the Amber Museum to know all about it. From furniture adorned with Amber to the antique collection, this Museum is a compact place to know about Amber. Plus, you get some pretty views of the old town from its top floor. St. Catherine’s church is not hard to miss while you are in the old town area. To get some fabulous views of Gdansk, climb the tower to the top. All the climb is worth it, totally. Located next to the harbour area in central Gdansk, The old post office has a special place in History. Officially, this is where the World War II kicked off when the German troops attacked the post office in the wee hours. More than 50 Polish employees fought to protect the attack. The building also includes a museum, which showcases the events leading up during the war and also the history of the postal service. There is a square consisting of a statue commemorating the defenders of the post office. Opened in 2014, World War II Museum is one of the best Museums that I have visited. I love history and hence Museums are enchanting to me, but I must say that I loved this place impartially. You’ll be taken through the entire war period, starting from the events before the war until the many decades, where you’ll see how the World War II shaped and rewrote history for millions of people across many countries in the world forever. There are lockers and if you have a backpack with you, you’ll need to put it in a locker. Only small handbags are allowed. 2 PLN deposit is required for a locker. You can keep your coats in the coat racks for free. The museum is closed on Mondays, and if you want to save some bucks, the Museum is free to visit on Tuesdays. So it’s crowded on Tuesdays. Try to be early to collect your free pass on Tuesdays. World War II Museum timings: Closed on Mondays. Tue-Fri: 10 AM to 7 PM; Sat-Sun: 10 AM to 8 PM. The people of Poland fought against communism much like their neighbours for more than 2 decades. The Solidarity centre was built to commemorate the heroes that were responsible. The building houses a museum, statues outside, and you can easily spend half a day here. If you are still wondering what to see in Gdansk, here are few more Gdansk attractions that you can explore. If you are a bookworm like me, you could check out the library that’s present in the same building where the Solidarity Museum is located. There aren’t many books in English, but if you speak any of the European languages, you could end up finding a good read. If you don’t have detail for an eye, you could possibly pass off Gdansk railway station. But if you take a moment, you’ll notice a lot happening around this area. First of all, the railway station is an example of ancient European architecture. Opposite to it stands the bus station. If you walk below crossing the bus station to the other extreme end, you’ll enter a local market, where you could find some old traditional eateries and cheap places to shop in Gdansk. I enjoyed strolling around in this area, where I managed to grab something cheap to eat as well as do some shopping in Gdansk on a budget. Quick tip: If you are traveling during Autumn or Winter, make sure to check out this neighbourhood early as many shops close around 6 PM. Zaspa is home to the largest outdoor art gallery in Europe, consisting of vibrant wall murals. All of them free to see! If you want to know the legends and local stories of these murals, you can take guided tours of Zaspa neighbourhood. I am sure that after spending a good time in Poland, you would most likely develop a taste for Polish food. The best way to get into the heart of Polish food is to enrol yourself for a food tour in Gdansk. On this guided licence tour, you’ll get to savour Polish drinks, appetisers, main courses as well as desserts. One of the fun things to do in Gdansk is to go Milk Bar hunting. Milk Bars are local restaurants serving delicious Polish food at very cheap prices. 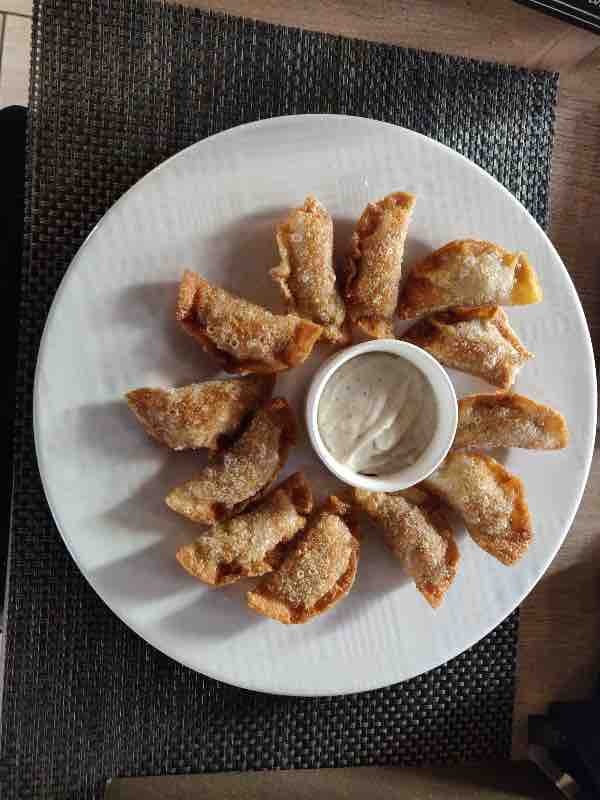 The portions are massive, the taste is delicious and you pay by the weight of the food. Plus, they are home-cooked. 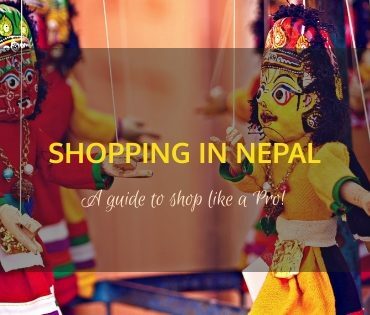 So basically for backpackers and budget traveler, it’s like a jackpot! And yes, there are decent options for vegetarians. So In Gdansk, there are many Milk Bars that are worth visiting. Some of the popular ones to try are Bar Turystyczny, Pijalnia Wódki I Piwa, Kmar Bar Mleczny, Academic Milk Bar, Syrena and Bar Mleczny Neptune. Google them to read the reviews and locate them and start your Milk Bar hunt! The Market Hall is the local market of Gdansk consisting of three levels. Built in the 19th century, it looks anything but like an actual market. From meat to fresh veggies, you can have a look at what the people of Gdansk eat! Visit this market for its unique build and the charm of local markets. Gdansk is a popular destination for stags, and this came to me as a surprise. I mean, I was expecting more happening things would lure stags, but there are quite a few things in Gdansk for stags. One of them definitely is making the most of Gdansk’s nightlife. Sure, it might not be loud and out as in bigger cities, but there are plenty of beer bars, pubs and restaurants for enjoying good Polish Vodka along with excellent food. Obviously, if you are traveling alone, these places are great to find people to tag along! Located just outside the city walls of Gdansk, Gora Gradowa is a small hill offering different views of Gdansk. If the weather is great, climbing this hill is a perfect thing to do in Gdansk in the evening. The Hewelianum Centre, a science centre is also close by. Now you got an idea about the top things to see in Gdansk, let’s look at how you can plan your itineraries to help you visit Gdansk. Ideally, I would recommend spending 3 days in Gdansk itself, excluding any day trips that is. I mean with 2 days, you can cover the sights, but you’ll have to rush a bit. 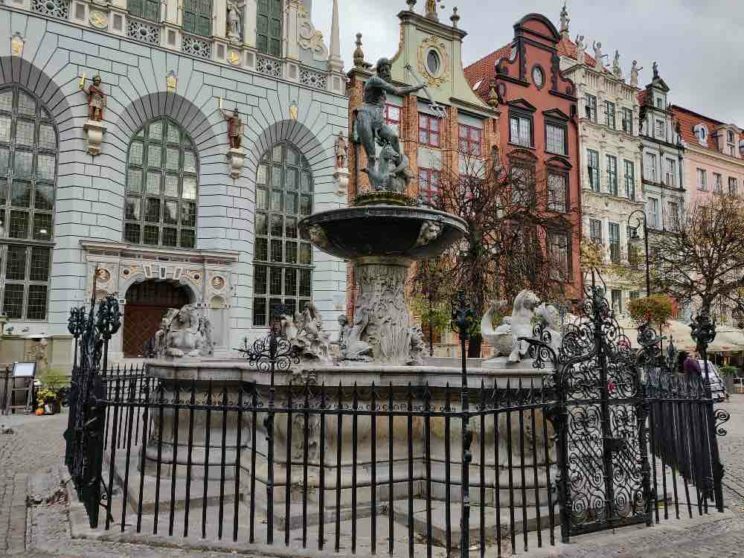 Here’s how you can plan Gdansk sightseeing on your own. If you have just one day in Gdansk, you should spend the first half exploring the old town. Try to cover these streets, all part of the Royal Route. Upland Gate (Brama Wyzynna), Golden Gate (Zlota Brama), Prison Tower and Torture Chamber (Wieza Wiezienna), Gdansk Town Hall (Rathaus), Arthur’s Court (Dwor Artusa), Long Street (Dluga), Long Market (Dlugi Targ), Neptune Fountain (Fontanna Neptuna), Green Gate. Then you can make your way up to the shipyard, checking the crane. End your old town tour on Mariacka street. You could then head to the Solidarity Museum or the World War II Museum if Museums are your thing. If you prefer going to only one, I would suggest WW II Museum. Alternatively, you could go to Westerplatte, although you’ll have to rush if you are pressed on time. Day 1: You could check out the old town and visit either of the museums. Day 2: Take a day trip to Malbork Castle or head to Sopot for a beach day. No matter which one you take, you’d be left with some time. You can head to the market hall or the post office in town ending your Gdansk trip. Follow the above for the first 2 days. You could use the third day to do another day trip to Gdynia, Westerplatte, Malbork or head to Oliwa, or take a Gdansk cruise. Does Gdansk have a beach? Of course! The Gdansk beach might not be known, but everyone heads to Sopot for a beach holiday in Gdansk. Sopot has Europe’s longest wooden pier for starters. There are not many things to do in Sopot, and ideally it’s that kind of a place you head to when you are done with all things to do! Start exploring Sopot from its Main Street Monciak. Check out the Crooked House (Krzywy Domek), and visit the Fishing harbour as the evening sets in. If you want to hit the beach strips, head in any direction from the Sopot Pier. How to reach Sopot from Gdansk? The average time from Sopot to Gdansk is 20 minutes, the fastest way being through SKM trains. There are frequent trains in either directions. You can buy the tickets directly at the counter or from the machine, which cost 4 PLN. If you want to go to Gdynia from Sopot, it takes 15 minutes at 4 PLN. Gdynia is a part of Tricity – the metropolitan area consisting of Gdansk, Sopot, and Gdynia as well as smaller towns in the area. Because of its proximity to Gdansk and its modern feel, Gdynia has grown to become a popular day trip option from Gdansk. You can easily spend a day or 2 exploring the areas in Gdynia. Some of the attractions in Gdynia are Dar Pomorza – the waterfront, Kościuszko Square, Naval Museum, Kamienna Góra – the upscale neighbourhood of Gdynia, which also has a Funicular, Gdynia beach, Motor Museum, Museum of Gdynia and Orlowo Pier. I know, too many places for a day trip, right? How to reach Gdynia from Gdansk? There are trains departing from Gdańsk Główny Railway Station to Sopot Railway Station every 15 minutes. You can buy your tickets at the stations directly from a ticket window or ticket machine. But don’t forget to punch your ticket in the yellow boxes before boarding your trains. If you want the fastest train, hop on to any of the SKM. The other trains that run between Gdynia, which also goes to Sopot are run by the national railway (PKP). The average distance between Gdansk and Gdynia is 35 minutes and costs about 6 PLN. 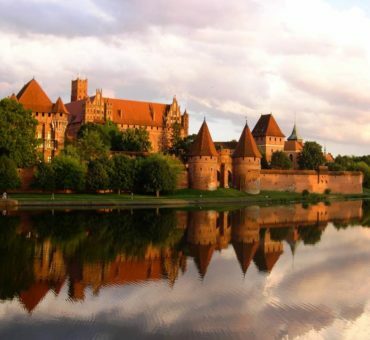 Malbork Castle is the largest castle in the world in terms of area. Built completely by bricks, it is also the largest brick structure in the world. This 13th-century castle belongs to Teutonic times and was majorly devastated in WW II bombing. It was reconstructed later to what it is the present day. There are 3 different levels, and it takes half a day to explore the castle and another 2 to 3 hours in traveling to and from Gdansk. You can travel by yourself from Gdansk to Malbork Castle by trains. There are 3 types of trains at different prices. Go to the station a day before or just when you decide to get the tickets directly. 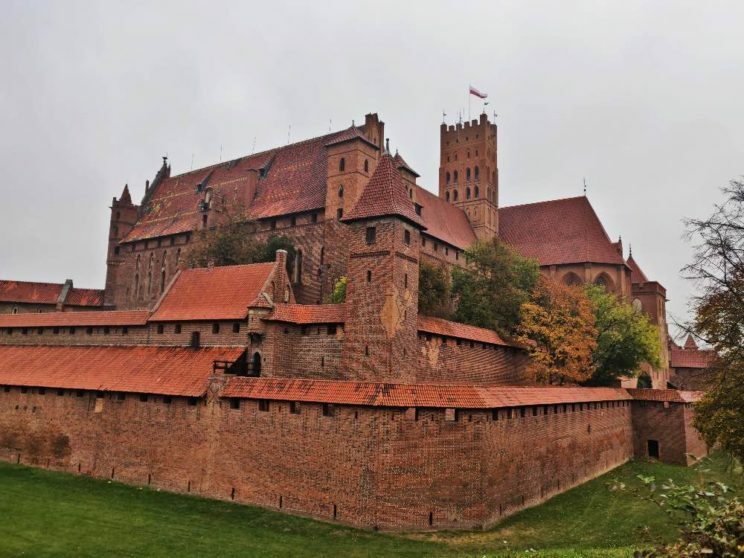 Malbork Castle timings: 9 AM to 7 PM every day. Malbork Castle entry fees: 39.50 PLN in summer and 21.50 PLN in winter. Tuesday free entry(to selected areas) after 2 PM. You can also opt for different types of guided tours some of which covers the transport as well. Check them below. Oliwa is a place within a place that you would want to explore. This tiny suburb between Gdansk and Sopot is slowly catching the attention of tourists with its history, parks and nature. Visit Pacholek Hill for some beautiful views, which also has a tower. Oliwa Park would be an excellent option to check out if you are with kids especially as the open green spaces are really pretty. How to reach Oliwa from Gdansk? Again SKM trains are the best way to travel to Oliwa, and tickets could be bought at the station itself. Westerplatte is the place where the WW II began simultaneously along with the Gdansk post office attack. Today, the place consists of an outdoor museum, monument and ruins of the barracks. Located beside the seashore, you can spend half a day here. How to reach Westerplatte from Gdansk? Water tram 5 and two buses 106 and 138 leave from the Gdansk main station to Westerplatte. Note that the buses aren’t frequent(Like 1 per hour or so), and the travel time one way is around 45 minutes. Google real time maps give you the bus timings accurately almost, although I had to wait for a longer time than expected for the bus. Stutthof Concentration Camp was the first concentration camp built by the Nazis in Poland at the beginning of WWII. More than 1 million people were killed here during the war through gas chambers and torture. Located about 55 km from Gdansk, you can go on a day trip from Gdansk on your own. There is a museum showcasing the events and the life of the prisoners in the camp, which is moving and sad. Getting to Stutthof Concentration Camp from Gdansk: You can travel to the camp from Gdansk by bus or by taking a cab. Bus is obviously the cheapest means. Take the bus to Krynica Morska, which takes you to the camp. If you want to take guided tours, these are the tours that are recommended. Trains: The best way to travel in Poland is through trains. The country has good connectivity through different types of trains, which are also the cheapest way to travel within the country. I took the train from Warsaw to Gdansk. I got the ticket directly from the counter. I got the ticket with no seat confirmationbut later found out that many locals also had no confirmation. They assured me that it’s alright and that we could get seats, which we all got. You can book the train tickets on this website. There are four types of trains – EIP, EIC, IC and TLK, with TLK being the cheapest and also the slowest among all. Sometimes, they do offer promotional tickets or highly discounted tickets, which are easier to get if you buy directly from the ticket office. So if you find them online, do head to the ticket office right away to get the cheapest tickets(if you are unable to book online). You can check for buses as well. There are a few private operators running buses between cities. You can also fly any major city to Gdansk Airport. The Lech Walesa Airport in Gdansk is located about 10 km. You can take the public bus to the city from there or the local train to Gdansk Glowny. Public transport is very good in Gdansk and is a very convenient way to travel. Wishing the Tricity of Sopot, Gdynia and Gdansk, you can travel using the SKM trains. Trams connect the main areas in Gdansk including the old town and the railway station. 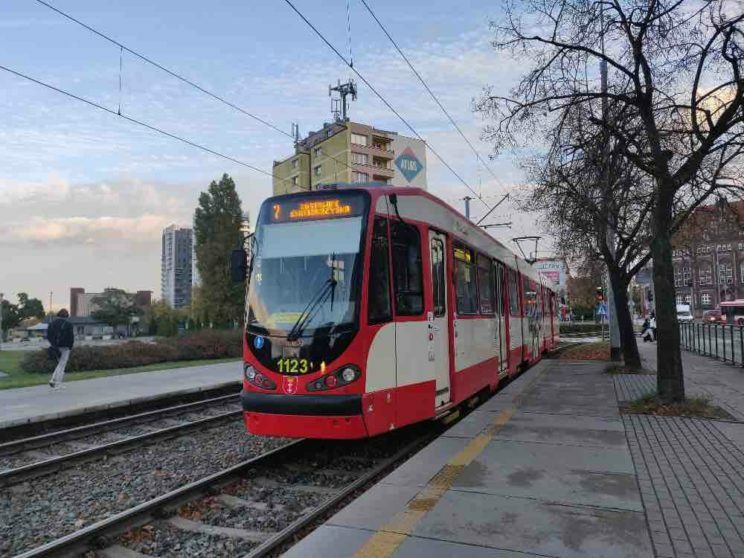 There is a 60-minute ticket at 3.20 PLN regular price, which can be used in trams and buses. A 24-hour ticket costs 13 PLN. 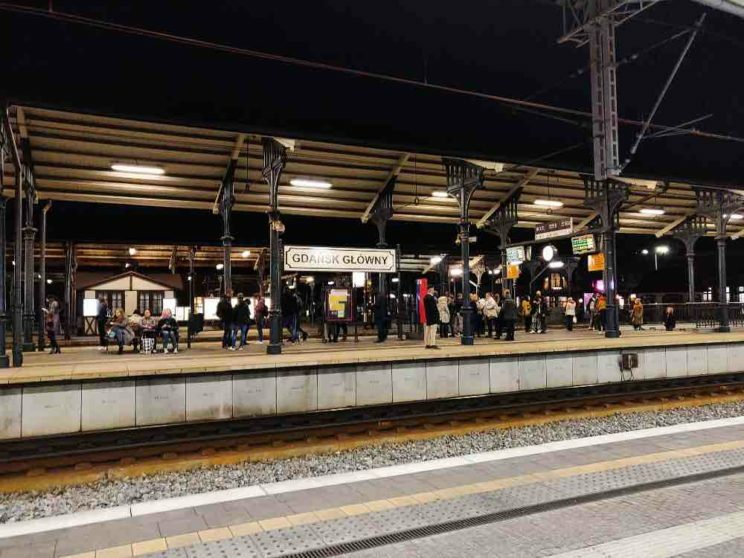 Tickets can be bought in kiosks and ticket offices, and you need to validate them in a small yellow machine in trams, buses and before you board the train on platforms. Note that you can’t buy a ticket from the driver in trams. There is Uber and local cabs ply as well, within as well as around the city. 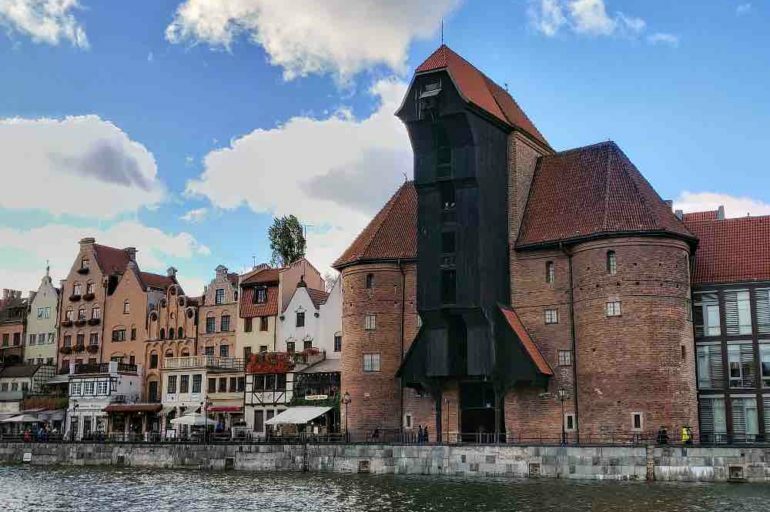 If you plan to visit Gdansk for a longer duration intending to move around covering many attractions, it’s ideal to buy Gdansk travel card by Gdansk tourism. You can get them in the central stations or sometimes in big kiosks. Gdansk tourist card offers free/discounted entry to many museums, attractions and shops. You can top it up with transportation ticket and travel freely all over Tricity using public transportation. The cards come with a validity of 24, 72 and 120 hours. Where to stay in Gdansk depends on how far or close you would like to stay from the centre and of course, the budget. The central area is near the old town, and there are many hotels in Gdansk Old town. 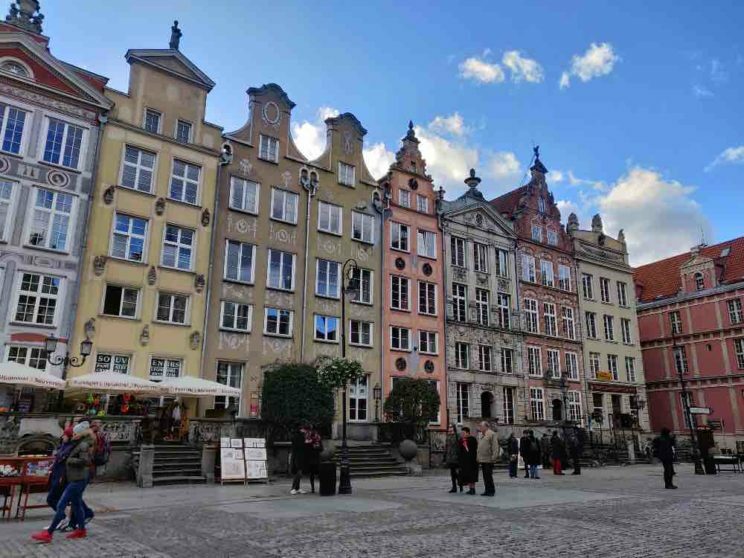 There are some hostels and guesthouses around Gdansk Glowny Central, which is known as Centrum. Being a compact town, it shouldn’t matter much where you stay as the connectivity is good as well. I stayed at Old Town Hostel, which was actually not in the old town but close to it. It was cheap and clean, with a kitchen that I used to cook something basic for myself. So If you are looking for a budget hostel, I would recommend the Old Town Hostel. And here are some hotels with excellent location and reviews that you can check if budget is of no constraint – Loft in Old Town Gdansk, Alpaca Apartment Old Town with Hall, Apartament Chleb I Wino, Apartment Spirit of Gdansk and Apartment Zuraw. So if you are still reading this, it means that you’ll be planning your trip soon. Hope this guide helps you to enjoy Gdansk!